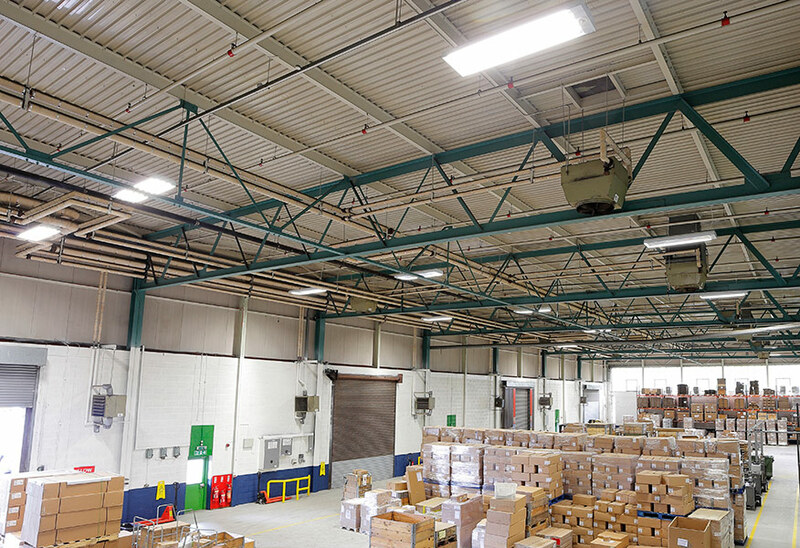 The ability of Tamlite’s lighting solutions to deliver improvements in energy consumption and overall quality of illumination continue to make them popular choices for large-scale industrial applications. In one of the most recent projects of this kind, Tamlite HILUX fittings were successfully installed in multiple areas of the Newton Aycliffe, County Durham, manufacturing facility operated by outdoor power products company Husqvarna UK – producing the Robotic range of mowers as well as the Flymo brand of mowers. 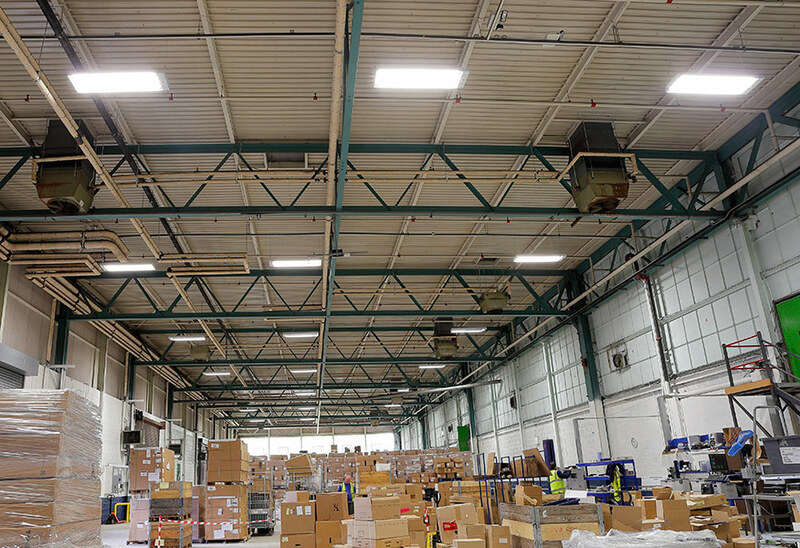 “Husqvarna UK wanted a solution that would enable a straightforward replacement of their existing 400W high bay fittings, so we worked up a design based around products from our HILUX family, which has proven to be a real hit with manufacturers across the UK,” says Colin Lawson, who is Head of Sales, Marketing and Product Development at Tamlite. 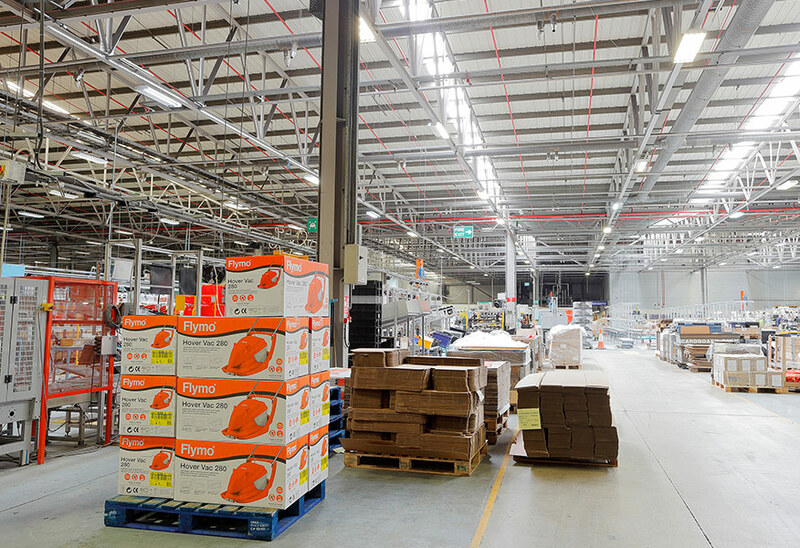 Designed to provide a high-performance lighting solution for a host of manufacturing and retail applications, the HILUX fittings can be used with T5 or PL-L lamp options, with long-life lamps able to offer as much as 50,000 hours of operation. A unique reflector design that delivers maximum light output (LOR ≥ 94), integrated light and presence detection (if required), and easy-fit power lead options are also part of the HILUX offer. The specific models chosen for the Husqvarna UK installation were the V102 and V103, both of which are available with a number of sensor options. In the case of the V102, these include: standard housing with presence detector, preset to 20 minutes or customer requirements; integral sensor to provide photocell control; the ability to operate up to 20 metres mounting height as standard; and low bay sensor for up to 6 metre mounting heights. Meanwhile, options with the V103 include: the ability for daylight control to be programmed on site using the V300/P programmer to maintain required lighting levels; operation at up to 20 metres mounting height as standard; and low bay sensor for up to 6 metre mounting heights. “Apart from the ability to deliver substantial energy savings – between 30% and 60% – a key objective with the HILUX products was to make them as easy to install and use as possible. The different options available with the product mean that this is easily achievable – something that we feel has been borne out by the increasing number of large-scale installations taking place during the last couple of years,” explains Lawson. The decision to activate occupancy detection at the Newton Aycliffe site means that the Husqvarna UK team is confident of substantial energy savings over the long-term. These are calculated to be as high as £3,700 per month, with the entire upgrade expected to pay for itself in a mere 2.9 years. 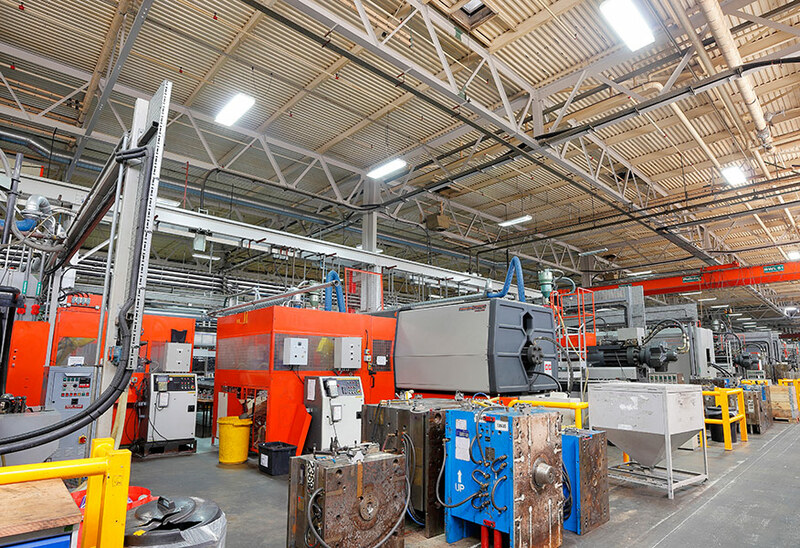 Reflecting on a project that encompassed the entire facility – including the mould shop, assembly lines and warehouse areas, among others – it is clear that Storey is pleased by the improvements that the new Tamlite fittings have delivered for the Newton Aycliffe premises. “We knew going into the project that we would get good results as we had worked successfully with Tamlite in the past,” says Storey. “Many staff have already commented positively on the improved light levels. And as many people now know, high quality lighting has great benefits for productivity and overall employee health.